On October 12th 2017, the Swedish prosecutor Jennie Nordin gave a long-awaited press conference about the case of the scandal surgeon Paolo Macchiarini. The surprise hardly anyone expected was: all manslaughter charges were dropped, the case closed. The operations on three patients, whom Macchiarini gave a plastic trachea at the hospital of the Karolinska Institutet (KI), and who died as the result, were declared mere negligence. Andemariam Beyene, Chris Lyles and Yesim Cetir (details of their cases here) were considered as dying anyway and without any other possibility to help, in fact the prosecution decreed that there was no way to prove if they would have lived longer had Macchiarini not experimented on them without ethics permits or any previous animal testing. Update 27.10.2017: Prosecutor Nordin confirmed to Thyberg by email that the experts appointed by the National Board of Health and Welfare (Socialstyrelsen) were indeed Hasse Ejnell and Michael Olausson. These are the two clinical professors from the University of Gothenburg who themselves transplanted a cadaveric trachea, without obtaining a proper ethics vote or an approval of authorities on the treatment and its medication. The patient died soon afterwards and the publication describing that operation (Berg et al, Tissue Eng Part A. 2014) was retracted for data manipulations. The scientist behind this was the notorious Gothenburg regenerative medicine researcher Suchitra Sumitran-Holgersson. She and Olausson were both found guilty of misconduct and ethics breach by the University of Gothenburg, regarding that trachea transplantation as well as transplants of “regenerated” veins into three child patients. On top of this, Olausson was involved into the case of Yesim Cetir, Macchiarini’s third patient. Unlike previous two patients Yesim had no slow-growing or any kind of cancer, all she had was a tracheostomy due to damaged trachea after a botched operation in her home country Turkey. With such a defect alone, she was in no life danger at all, as long as she did not try to swim. It was Macchiarini who declared her in his recent television interview as “bleeding a glass of blood” daily, or the Swedish prosecution claiming she was suffering of “life-threatening” chest infection, without explaining how this can be cured with a plastic trachea transplant. Olausson, who helped the prosecution form this diagnosis, has made together with Sumitran-Holgersson a cadaveric trachea which was supposed to save Yesim’s life after her first plastic trachea transplant failed. Macchiarini’s acolyte Philipp Jungebluth (the one who keeps suing me in court in Germany) travelled to Gothenburg to pick up that trachea in 2013. Macchiarini then changed his mind, sent Olausson his necro-trachea back and implanted another plastic graft into Yesim. Which wade matters even worse, Yesim died in March of this year in the hospital of the Temple University, USA. Her father Hayrullah, who dedicated all his time and attention to trying to save her, died soon after Yesim, on untreated cancer. Yesim Cetir, with her father. Both are dead now. Photo: his, on Twitter. @Hayrullahcetir. In a way, it is good for Mr Cetir that he is did not live to hear Swedish prosecution decide that Macchiarini was perfectly in his right to experiment on Yesim, even when his other plastic trachea transplant patients suffocated of the collapsing grafts or were already dead. Even though the prosecution acknowledged that Macchiarini lied about a preoperative multidisciplinary treatment conference which never happened, and that “alternative therapies were not discussed”. Beyene’s own trachea disappeared without a trace after it was replaced with the deadly plastic graft, also no biopsy was made, as prosecution acknowledged: “It is clear that no tissue samples to confirm the cancer was before the operation”. For Lyles, prosecutors acknowledge that opening up his chest was endangering him further, and that palliative options might have been better than the plastic trachea operation. So what: the prosecutors were advised that this was nothing bad at all by two Swedish peers of Macchiarini, both responsible for an unethical and likely deadly trachea transplant of their own, as well as other patient abuse in the name of regenerative medicine. Now it makes sense why the prosecution refuses to name their experts. I am publishing the full investigative report of the Swedish prosecution here, and I previously reported about the misconduct investigations into the deeds of Olausson and Sumitran-Holgersson before (here, here, here and here). The most recent investigation, by the Swedish Central Ethics Review Board (CEPN) into the data manipulations in papers by Sumitran-Holgersson and Olausson, is still ongoing, its results are expected in December 2017. I now also offer the full report of Gothenburg medical ethics investigation which also shows the role of the other expert the prosecution listened to, Ejnell. It was written by the past KI investigators of the Macchiarini scandal, Bengt Gerdin and Kjell Asplund (read here and here), as well as Olle Lindvall. Olausson’s and Ejnell’s trachea transplant patient was a 76-year-old man who was suffered in 1963 a work-related accident, where he lost a leg and received many other injuries. Over the years, he developed breathing difficulties, which was initially interpreted as asthma, from which he suffered since youth. In 2010, tracheal stenosis was diagnosed and the patient received a tracheostomy. Over time, this hole in his throat started to cause problems, conventional therapies and surgeries were deemed unsuitable. On March 2nd 2011, the patient received a cadaveric decellurised trachea, “regenerated” with patient’s own bone marrow cells, basically same method as Macchiarini’s. He was also treated with recombinant growth factors VEGF, EGF and FGF (Macchiarini used a different combination, also without caring for side effects or if the reagents were approved for human use). The necro-trachea graft was soon found covered by a brown yeast film, which was treated with anti-fungal medicine. 23 days after surgery, the patient suddenly became pulseless and died, his autopsy showed grave cardiosclerosis. 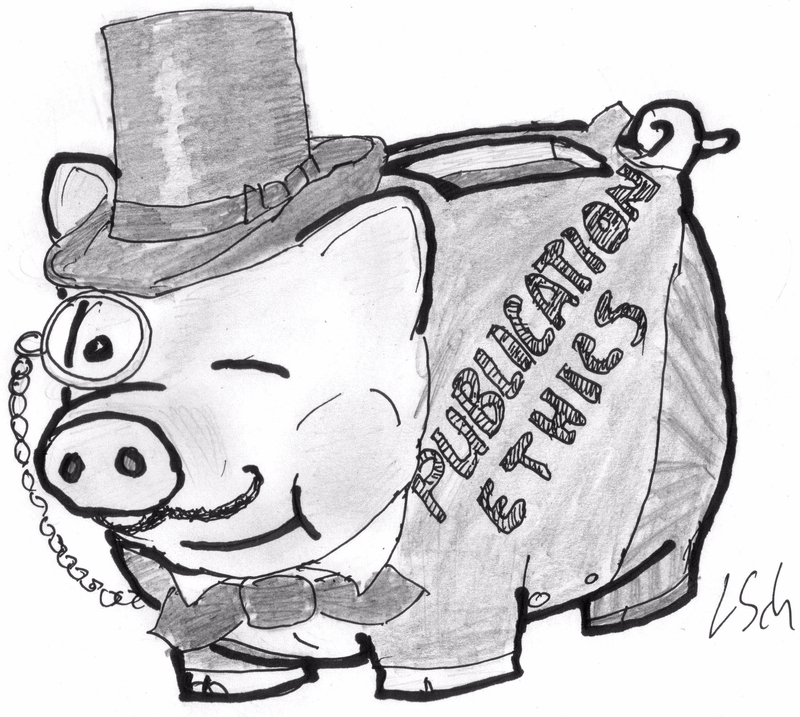 “There are no notes on ethical or medico-legal questions in the journal. Neither are there any notes about any preoperative multi-disciplinary conference. According to HE [Hasse Ejnell, -LS], something similar was validated with hospital priest Daniel Brattgård, the proposed action had been discussed within an “Ethical forum” in SU [Sahlgrenska University Hospital in Gothenurg, -LS] in February 2011 and there is a retrospective reconstruction summary, among other things, that the possibility of improvement was considered before the risk of injury. See Appendix 2. At that time, no discussions and or assessments were documented in this regard in real time. According to the records, the patient, as well as close relatives, has been informed on several occasions about the operation and about possible complications and has given verbally informed consent to the intended action. It was stated by HE that LMV [Läkemedelsverket, Medicinal Product Agency, -LS] had been informed and approved the measure which met the requirement for “hospital exemption”. However, written documentation does not support this in real time. On the other hand, an ex-post contact with LMV investigators is reported as an email reply, which indicates that advanced therapy permission is required if cells are supplied to a donor trachea. Manufacturing permit was not available. In retrospect, HE also had an email contact with IVO [Health and Social Care Inspectorate, -LS] which believes that such a single measure could be done within the framework for the given state of the tissue establishment “Homograftbank” at SU, despite that the tissue “trachea” is not held within this state”. Hence, the authorities were informed retrospectively, while the investigation came to conclusion that the novel intervention was research and that appropriate ethics permits were lacking. As for the growth factors applied: none of them was registered as approved drug, while Olausson and Ejnell failed to obtain permission from LMV to use them for this intervention. According to Olausson, the autopsy has “shown a very good recellulirized trachea”. However, the Gerdin investigation determined that “the autopsy report lacks any description of the results of a microscopic examination of the trachea used for histological examination”. Olausson also declared that the corresponding publication Berg et al 2014 was “difficult to publish due to the Macchiarini group was reviewing the paper“. Now the paper was retracted in May 2016, officially upon request by Sumitran-Holgersson for data irregularities, the ethics shortcomings were not mentioned. Both Olausson and Ejnell were also part of Sumitran-Holgersson’s experiments on children with regenerated veins, published as Olausson et al, The Lancet, 2012 on which I reported here. That paper also contains evidence of data manipulation. Olausson’s research interests, English Google-translation. Original here. Bottom line: when investigating Macchiarini for lethal human experiments with experimentally untested trachea transplants without ethics votes, regulatory approvals or multi-disciplinary conferences, Swedish prosecution invited as its experts Olausson and Ejnell, who did exactly the same, as documented by the Gothenburg investigation. No wonder Macchiarini was acquitted. It is not possible to prove that another curative action would have meant with a high degree of probability that the injured party would not have died or even have lived longer. It has further been found that it is not excluded that the injured party lived longer than he would have done if only palliative action was taken. Given these circumstances it is not possible to prove manslaughter, felony. From the information available in the investigation it cannot be proven that the injured party would have had with a high degree of probability a reduced suffering with another treatment or palliative interventions . Given these circumstances it is not possible to prove bodily harm, felony. The preliminary investigation will as a consequence of the above, be closed. No autopsy of the victim has occurred and the cause of death is undetermined. It is therefore not possible to verify that the operation has caused the plaintiff’s death. When causality can not be clarified it is not possible to prove manslaughter, felony. There has also been reports indicating that the operation to open the sternum can cause complications. Therefore it is not possible to obtain a high degree of probability to prove the damage and complications that the injured party actually suffered was in default in the event that they refrained from transplant. Given these circumstances it is not possible to prove bodily harm, felony. It can not be of high degree of likelihood to see that the victim would be alive today or her complications were absent in the event she had taken another treatment options. Given these circumstances it is not possible to prove manslaughter, felony, or bodily harm, felony. The preliminary investigation will as a consequence of the above, be closed”. Wow!!!!!!!! !You are great. I believe in you. Any news from the clinic.? The whole Swedish justice system is more about being careful to protect the criminal than to make sure that anyone will be prosecuted. Prosecutions rarely lead to a real punishment anyway. Don’t have high expectation for the reports that will be published. This is true for scientific misconduct as well as for any other types of crime. One can only hope that this will slowly change when a new government is elected. The prosecutor in this case chose not to investigate, but not because of lack of evidence of illegal wrongdoing, but due to an assessment that such wrongdoing would in that case not be grave enough to qualify for public prosecution. In other words, should immediately affected parties, such as any of the patients or, more likely as several of these were children and some are now dead, some of their immediate close ones, file a criminal complaint, the prosecutor may indeed investigate. What do you mean “some patients” How many are dead?????? (https://www.dagensmedicin.se/artiklar/2017/10/27/macchiarini-aklagarens-experter-anklagas-for-jav/) is that “experts” have not mentioned their cooperative work with Macchiarini in the “conflicting interests” declaration. I hope that the investigation will be re-opened. My prediction: the investigation won’t be reopened. The prosecutor will be “sorry” for some “inappropriateness” with the expert opinion but this won’t be “enough” to warrant a new investigation. It is amazing. The experts were obviously chosen to cover all story, the conflict of interests is obvious for anyone familiar with the case. Olausson not only kept his job after reports of something like 10 papers with manipulated data but also serves as an “expert” for investigation. Wow, what kind of “ethical Chernobyl” is that?